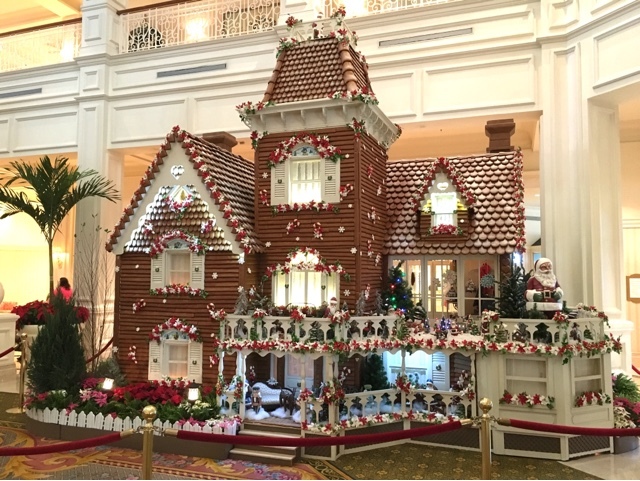 The giant gingerbread house is an annual tradition at the Grand Floridian. There are gingerbread displays in several of the Disney resorts during the Christmas season. However, the Grand Floridian one is the "flagship" of these confectionery abodes. I took this shot this morning, before giving a tour of the Magic Kingdom.